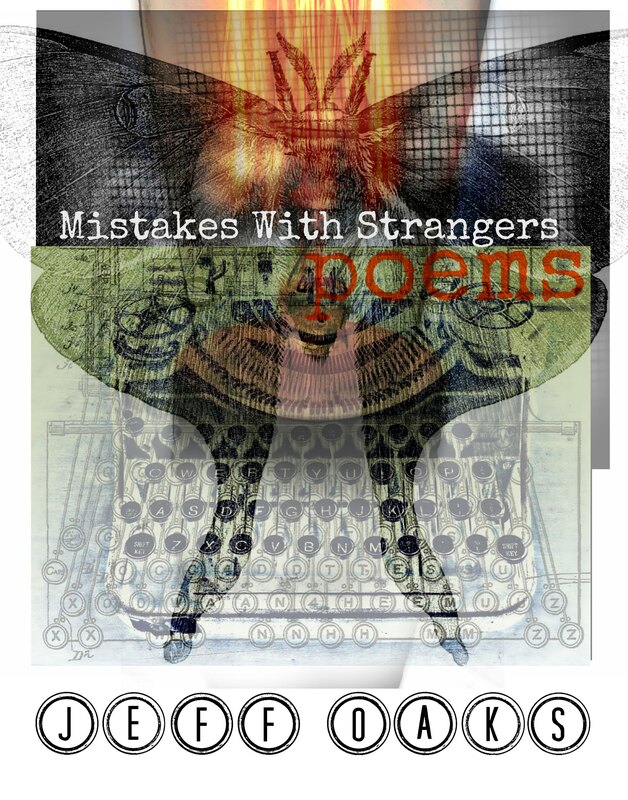 Mistakes with Strangers: Poems by Jeff Oaks. Number 2.07 in the Seven Kitchens Press Editor’s Series. Jeff Oaks is the author of three poetry chapbooks, including Shift (Seven Kitchens Press, 2010). A recipient of three Pennsylvania Council of the Arts fellowships, he has published poems most recently in Assaracus, Bloom, Field, North American Review, Poemeleon, and Zocalo Public Square. His poem “Saint Wrench” was selected for Best New Poets 2012 by Matthew Dickman. His essays have appeared in At Length, Creative Nonfiction, and the anthology My Diva: 65 Gay Men on the Women Who Inspire Them. Mystery who wanders the basement. Mystery who kicks at the screen. There is someone here, waiting, not angry. not even me either–watching the windows. Tickle the wind chimes, wander the lawn. anymore. No one knows why. No here at least. The phone didn’t ring. I wasn’t hungry. Nothing like the dog howling at the mailman. to find it missing–or maybe it was me then. so cold it might make a voice tangible, easier. Sit down. Take off your windbreaker. Purchase Mistakes with Strangers here or send an e-mail query to sevenkitchens at yahoo dot com.